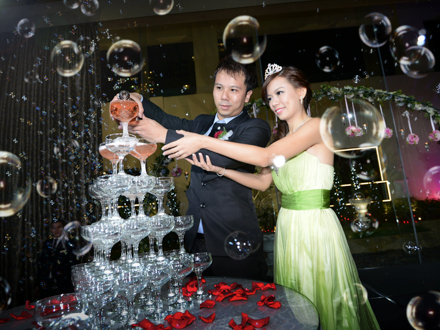 Thank you Vincent for capturing the special moments on our wedding day. You have been very accommodative to our request and schedule. We would like to specially thank you for being so understanding and making changes for us due to the unforeseen circumstance on ur original date. We are lucky to have found V-In Production for our wedding. Jaff are very engaging and professional during the whole wedding. 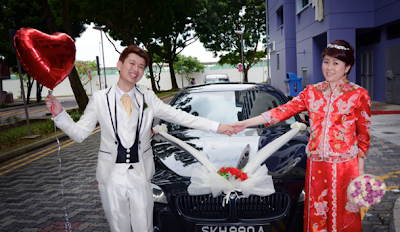 Great Thx to Vincent and Jacky for adding a memorable touch to our wedding day. The video and photos taken were both professional and nice. It is not easy to be a photographer and even more difficult to do it for 10 years and counting. Vincent is a friendly and knowledgeable guy. He is able to capture all the wedding moments without us reminding him to do so. 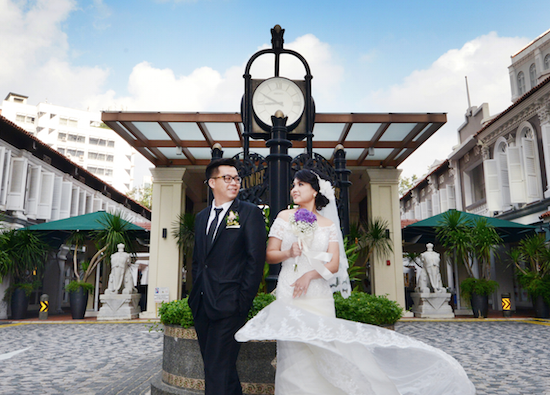 Jacky and his assistant for shooting our wedding. We love the photos as well as videos. 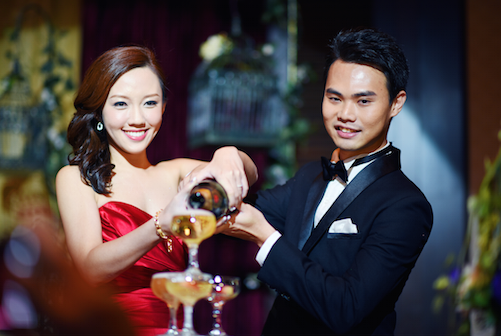 Thank you Vincent Yee for being such a professional and dedicated photographer on our AD. Experienced enough to help my hubby settle his jacket corsage in the morning with minimal effort too. Definitely will intro more friends! Oh yes Very reasonable prices too! Thank you V-In production, you guys are awesome! It was a magical and memorable day! Thank you Vincent and Nelson for the awesome service. Everyone say the morning gate crash video is well edit and so funny too. A BIG thank u to Photographer Vincent and his partner for doing a great job to capture the best moment for the day on my big day. Highly recommend !!! V-production !!! We really made the right choice to get V-IN-PRODUCTION to do our wedding day photography and videography. it was really a breeze working with them. Thanks V-in Production for the splendid work! 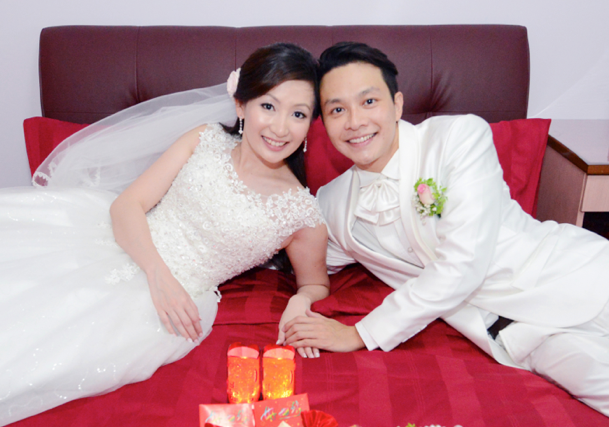 Thanks for e beautiful wedding highlights! Photos and videos taken were great! Thanks so much for helping us to keep these beautiful memories! WOW! …AMAZING! …STUNNING! … !!!!!! We’re blown away by all of the photos & cannot thanks you enough ! 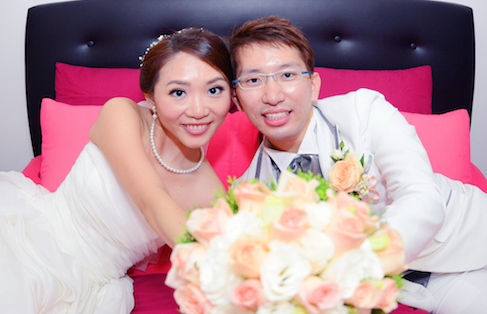 You have truly made our wedding day on 28.09.2014 looks so real and dreamy even in picture. The shots you have captured are the very essence of everything that was important to us – the laughs, the smiles, the fun, the romance, the friends, the family, the atmosphere, the love …simply everything! – you’ve sealed it in a visual image that will last us a lifetime. You didn’t disappoint us !! & deserved the full credit. It was our absolute pleasure to have you as our wedding photographer & we will be sure to recommend you to everyone and anyone, and we wish you all the very best for your future photography career and business. Once again, “Thank You” a million times over! i'll would like to take this opportunity to thank Vincent Yee and Andrew Chu from V-In Production. Both of them not only concentrated taking beautiful pictures and video during our AD wedding, they also act like wedding coordinators for us. 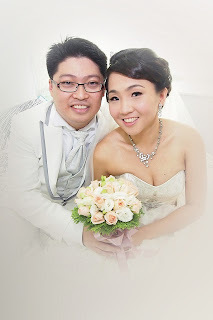 Both my hubby Lee Yong Liang and I really feel ease under their guidance. Most importantly, they were very professional throughout or whole wedding AD. Not a word of grumbling even though there were some hip up happening. Also, they listen to what we want for our AD wedding and they tried their best to take photo and video in the style that we want. 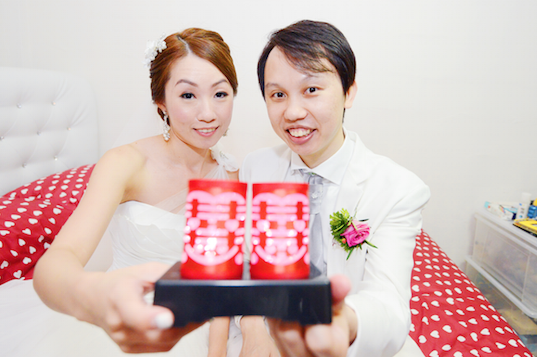 Plus, my jiemeis and xiongdis also enjoy and praise both the photographer and videographer! Many many thanks to V-In Production for bringing the best in our AD wedding. Keep up the good works! Both my hubby and I want to see you guys again in our frens wedding!! Happy 1st Monthsary Jason Lim! I hope you never have a dull moment since our marriage life. Thank you Vincent Yee of V-in Production for the wonderful album and photos that the hubby have collected from you on our 1st Monthsary - Greatest gift that we can get. 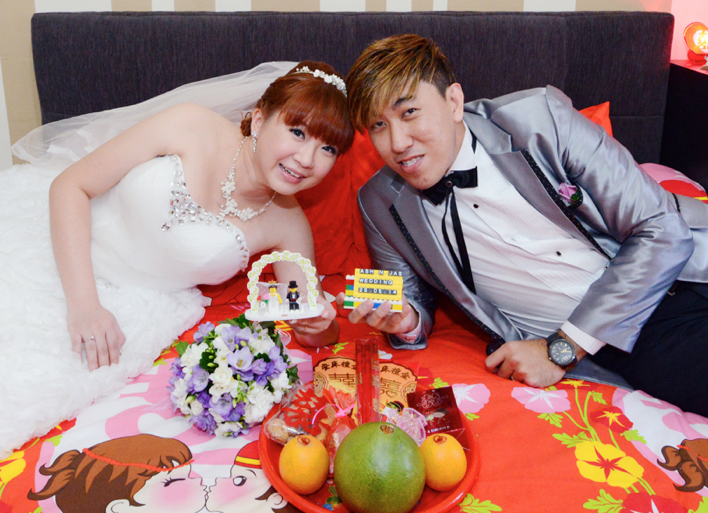 thanks for your wonderful coverage for Hui Ni Sim and me on our AD. 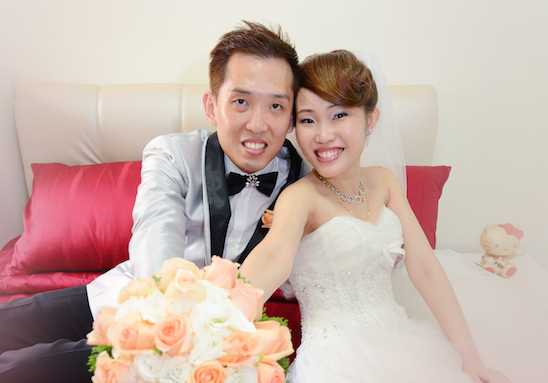 We also extend the Same compliments to your videographer (Jacky) and his partner. I can say all of you are very professional in your duties. We love the way you package for us the whole thing, from the shoots, filming, delivering the SDE, covering our most important moments in the evening reception and dinner, and lastly delivered all the photos and videos to us in such nice packaging. Thank you, you guys have made our event a memorable one, and it was fortunate to have your service. 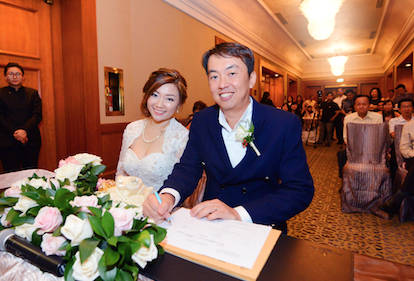 My wife, SoH LaY LiNg, and I would like to express our heartfelt gratitude for making our AD a memorable and beautiful one! The photos that u have taken for us is full of surprises effect! 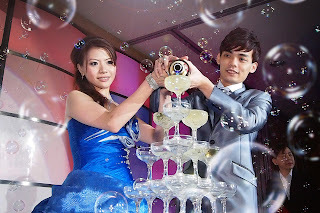 Engaged V-IN for our actual day photography and videography services. All in all, their service was very professional accompanied with great pricing. 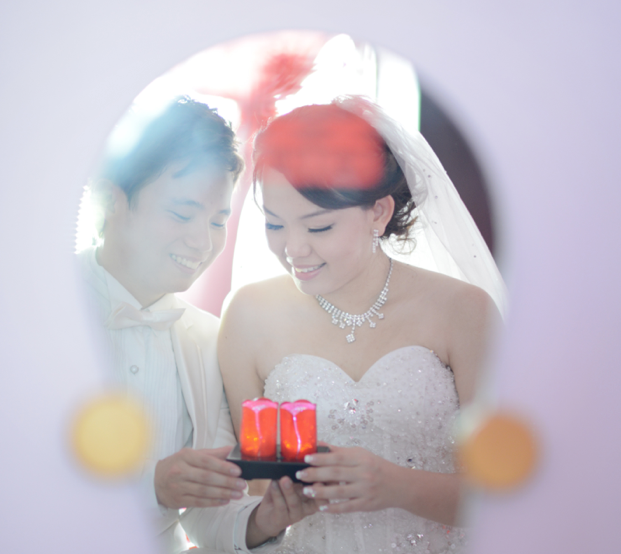 Their photos and videos were wonderfully taken and had a great lot of praises. We are greatly appreciative for it and wish to thank you guys. booked vincent for my AD photography and videography. i would say the photos taken was superb and the video is really really funny. thanks for all the help and support that u and nelson have given us. very professional and the pricing is affordable. would definitely recommend to my frens who are tying the knot! The photos are absolutely lovely! A BIG thanks for your amazing ability to capture our family in moments of tenderness and joy in such a natural way.We love all the photos you took and are happy to entrust V-In Production with our outdoor photoshoot this year. 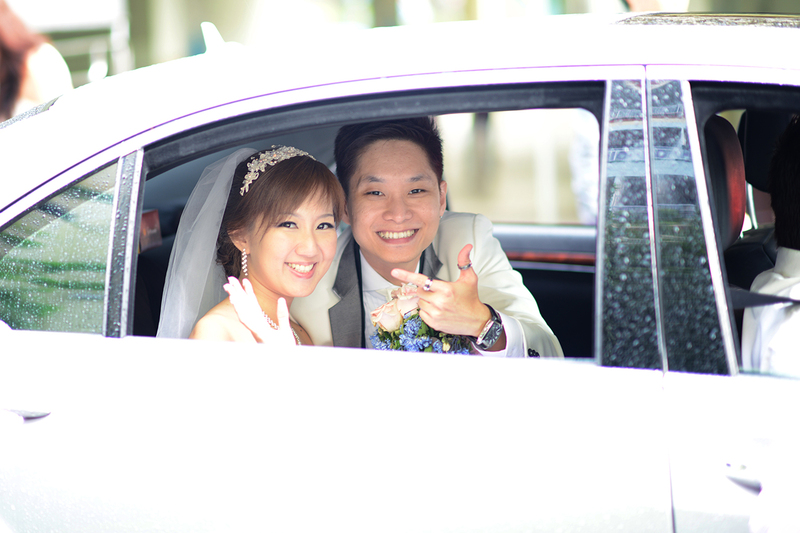 Thanks so much to you guys for your great services on our wedding day! We are really glad that we had chosen to engage your professional service. We really do enjoy working with you guys. 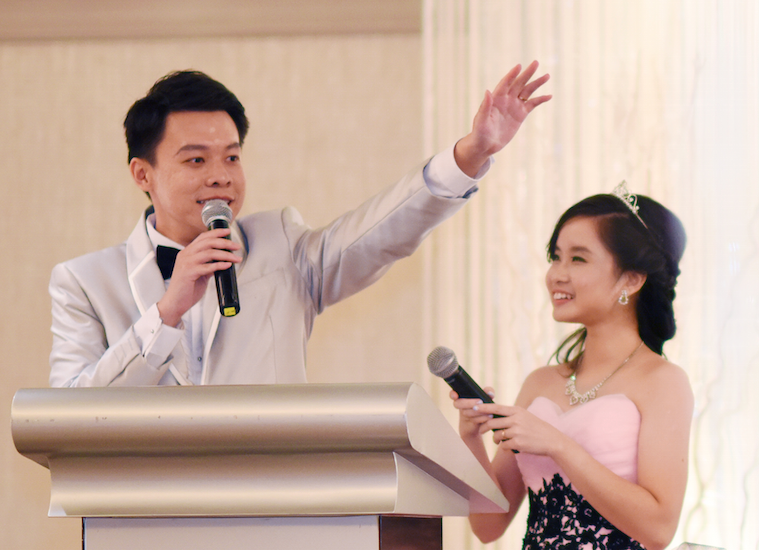 Your experienced & professionalism is really great as you guys had made it to capture our every precious memorable moments which not to be missed regardless how minor it is. 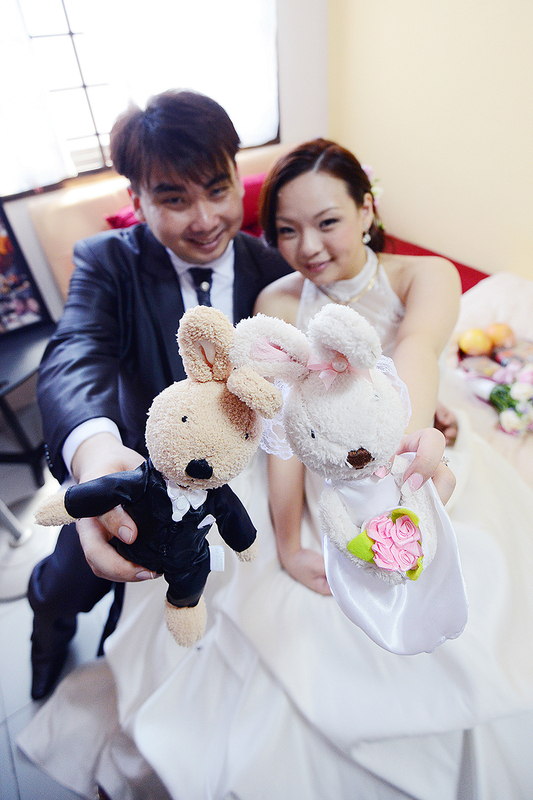 And also the outcome of the video & photos, our family and us really like it so much. 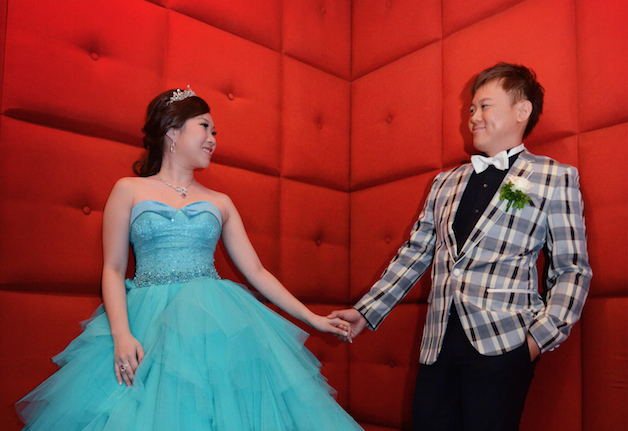 Me and Alfred Ang are glad that we did not engage the wrong person for our BIG day! We are very pleased with all the photos and the video! You won many praises from our guests A big thanks to you and your team! Highly recommended! Thank you so much for capturing our day. Thank you V-In Production, am glad i chose them for my special day. The style of their videography n photography was more than the amount of money spend. Worth every penny spend, it been two months n ppl still remember the images n video vincent n crew made. Keep up the good work. A very big THANK YOU to Vincent and team!!! 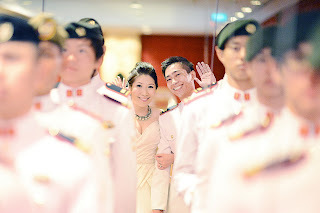 My hubby Eric Loh and I are very pleased with the photos and video! Well done!!! 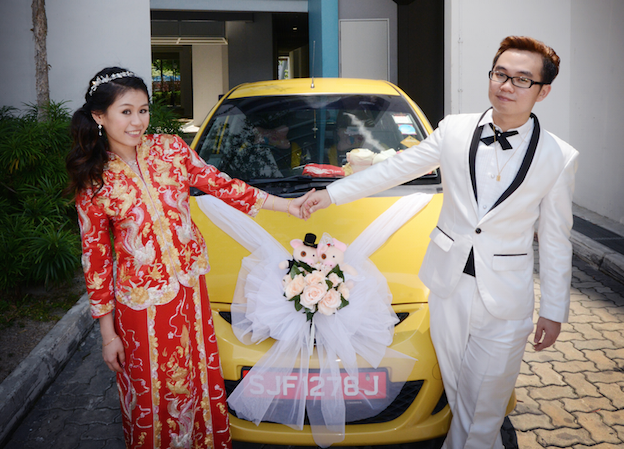 A very big thank you for the nice photo, and we will not hesitate to recommend your service to our relatives/ friends. Heartfelt thanks & appreciation to V-in-production team fromMike Lim & myself. Lots of patience and cool ideas during actual day shoot. 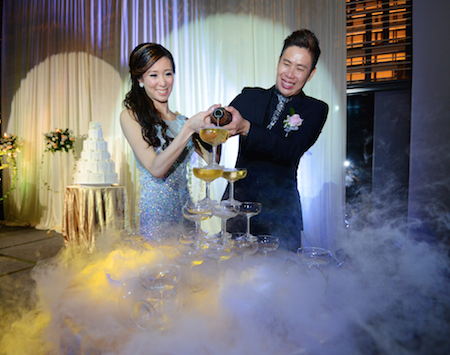 Both Vincent Yee and Jackie's photography + videography skills were fantastic! Dear Vincent & Team, thank you for all your hard work. You have given us a memorable wedding day. We wish you all the best and good business and last but not least I would like to say a BIG THANK YOU to the V-Production team, you are the BEST! 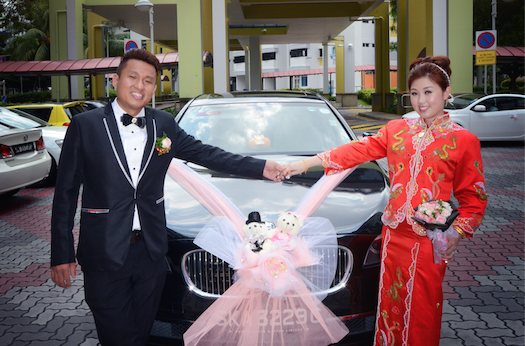 BIG thanks to V-In Production & team for your excellent service rendered on our wedding day! We’ve received our wedding photos and were amazed by their dedication and creativity. Amos and I just cannot believe how great the photos turned out. Once again, Thanks Vincent, you’re great! Many many thanks to U!! !...Both ma wife and me are very happy and satisfied with ur services and the end products. Excellent services and superb attitude during the whole day event. The wonderful and memorable pictures that were taken by euuu are priceless. Dear Vincent & team, many thanks to u for capturing our best & wonderful moments on our big day! It has been a joy to have u & ur team as our AD photographer & videographer. 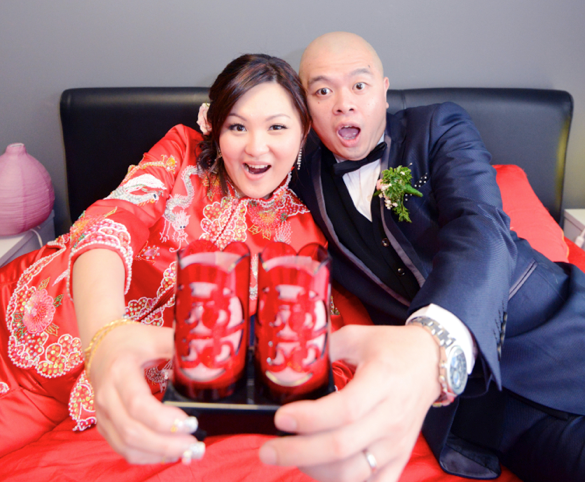 Thanks vincent for the quick response before the wedding and the great photos! Definitely a great joy working with u ! many thanks for your professionalism and great help on our AD last month. 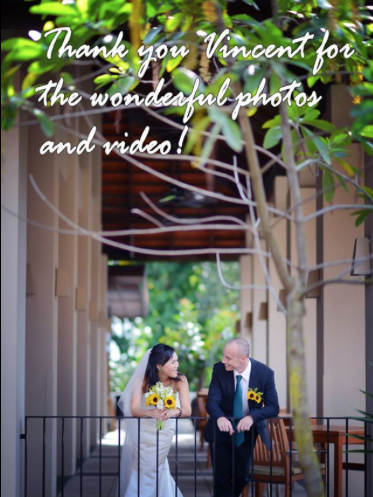 Both hubby and myself are very pleased with your photography services! Well done and keep up the good work ya! 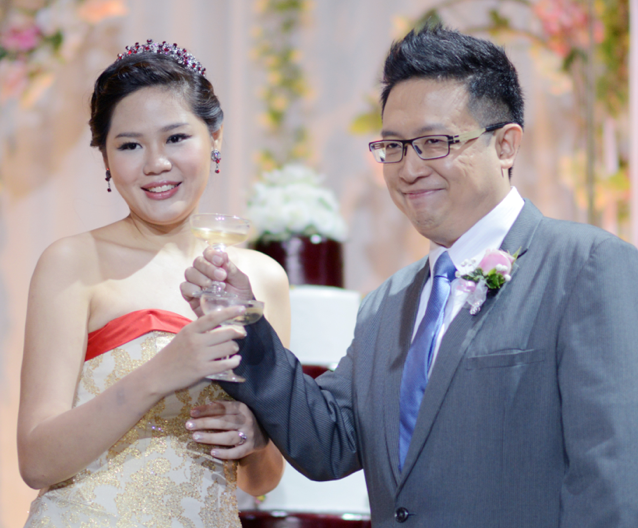 Thanks V-In Production for the wonderful pictures taken on our Big day. So many to share with my friends on my FB. They were also busy "liking" the pictures Thanks for teaching us how to pose , waiting patiently for us , coming early , and reminding us what is the next steps !! Goodness!! you are really experience, friendly and great . Oh and also "yan dao" Recommended a few friends (good things are meant to share) and will continue to recommend more. Thank you Vincent Yee and crew from V-in Production for the beautiful photos and video! 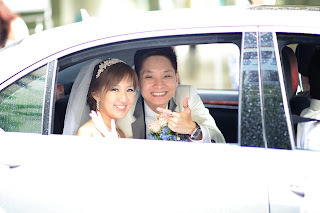 thanks for the skill-fully-taken photos on our big day- memorable shots were taken and we believe that we'd look back with fond memories. The video is well edited. 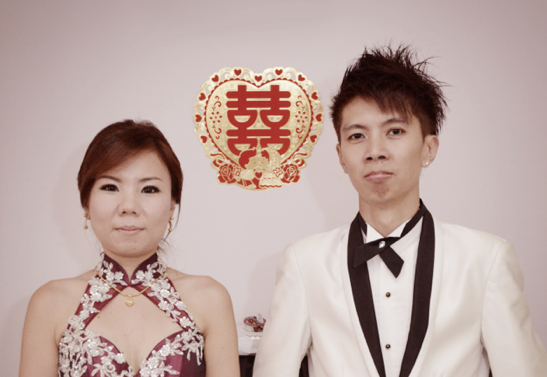 thank u Vincent Yee & the 2 video graphers' hard work on our wedding 2nd june 2013.
really appreciate e great job u all have done. 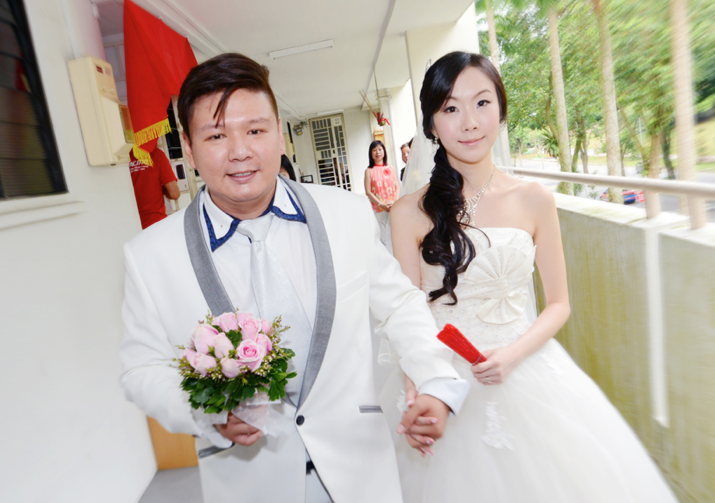 me n william love e photo album nicely done n e videos edited. A Big thank U !